Amithabh Bachchan has cleared many Indian farmers debt, about more than 1.000 people). 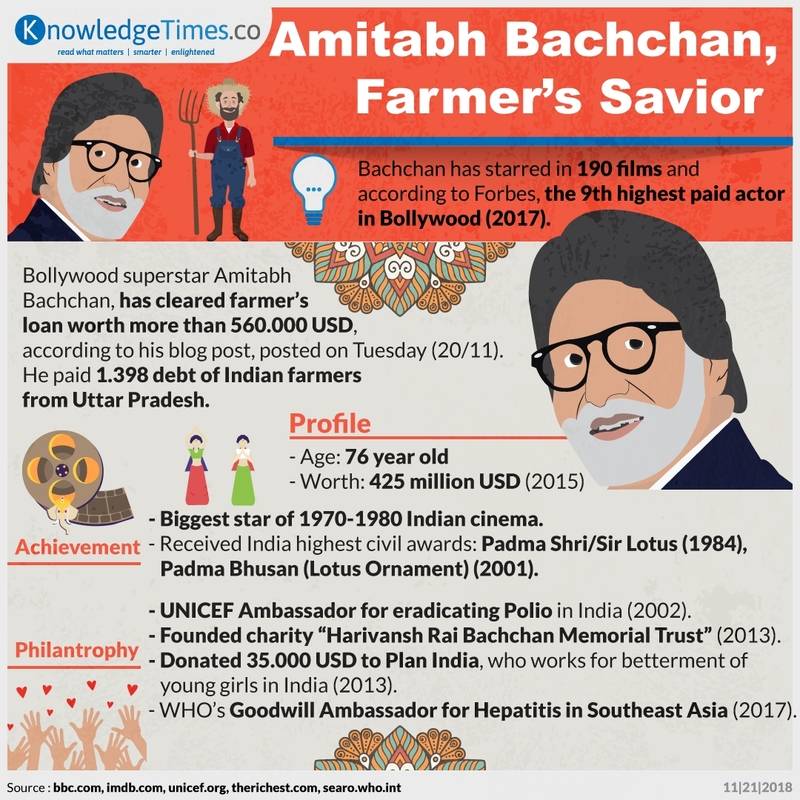 As a Bollywood superstar and a philanthropist, it is not a surprise he relieved the farmer’s burden. Bachchan is Generous, Be like Bachchan!